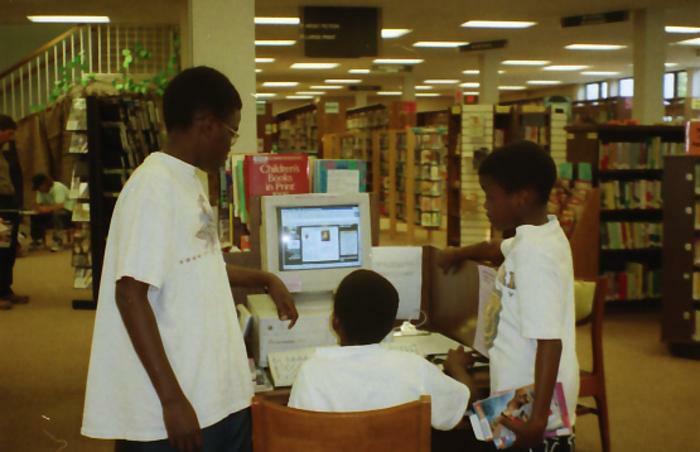 Young patrons at a first floor computer. Location shown is the old 100 W. Broadway building. Public access computer : DBRL_Slide_23-carousel. Archives of the Daniel Boone Regional Library. 20 Apr 2019.